← If You Compare Yourself With Michael Phelps, Will You Become A Better Swimmer? In a study conducted back in the 1970s, participants were shown 40 trait adjectives (such as outgoing, moody, or adventurous). They were then asked to note either self-irrelevant characteristics of each word (e.g. the font size, sound, or definition of the word) or self-relevant characteristics (e.g. whether or not the word described their personalities). When participants were told to remember as many of the words as possible an hour later, they were significantly more likely to remember the adjectives for which they had answered the self-relevant questions. In other words, adjectives that they processed by thinking about whether or not they applied to themselves were stored better in memory than those that they had processed by thinking about characteristics like their definitions. Research on this phenomenon, known as the self-reference effect, boils down to one main conclusion — people are better able to remember events, facts, and knowledge when it is integrated into people’s self-concepts. If you process a speech, fact, problem, or mathematical postulate by personalizing it and applying it to your own life, you’ll be more likely to think about that information, remember it, and recall it later. Integrating information into pre-existing knowledge structures makes it easier to recall, and when it comes to our memory, there is no knowledge structure that is better established than the one containing information about our favorite subject: Ourselves. But it doesn’t stop there. Not only do we process self-related information better, we understand things better when they’re situated within a social context as well. As an example, look at the image on the left. Let’s say you need to prove (or disprove) the claim that if a card shows an even number on one face, then its opposite face must be red. Which card(s) must you turn over to test this? Most people will say that you need to turn over two cards — the card with the 8, and the solid red card. However, this isn’t correct. 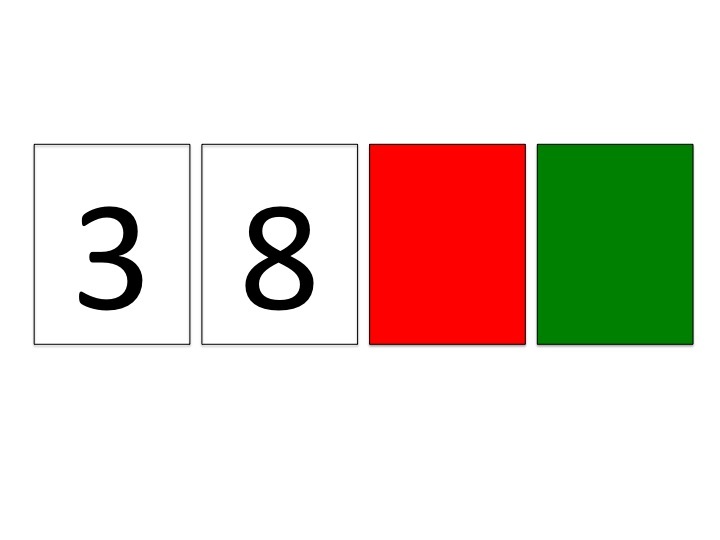 In order to test the claim, you do need to turn over the 8 to ensure that the opposite face is red. But, you don’t need to turn over the red card. You need to turn over the green card. You must ensure that the green card does not have an even number on the other side, or else that would invalidate the claim. It doesn’t actually matter what number is on the other side of the red card. Whether or not you got this correct, the fact of the matter is that most people don’t. In fact, when this experiment was conducted, fewer than 10% of the subjects came up with the correct response. However, what if I asked the question this way? You walk into a bar. 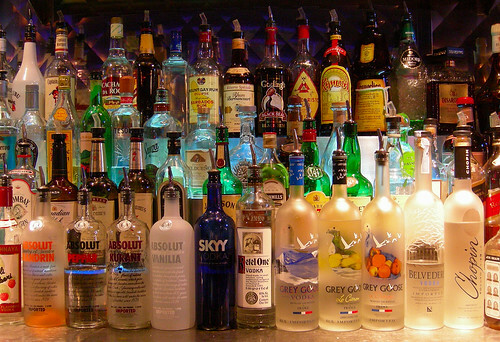 You need to make sure that everyone drinking alcohol is over 21. 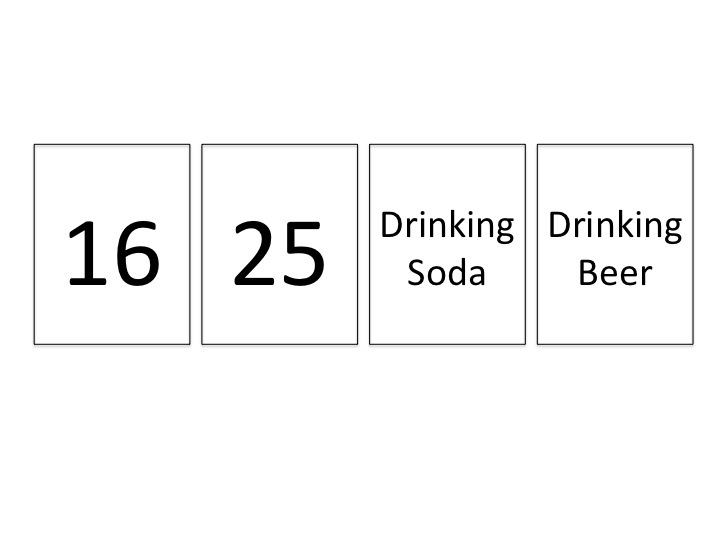 Each card shown here has a customer’s age on one side, and what he/she is drinking on the other. Which card(s) must you turn over to enforce this rule? All of a sudden, the answer seems obvious — and most people quickly figure out the solution. You need to turn over the “16,” to make sure that the 16-year-old is not drinking beer, and you need to turn over the “Drinking Beer” card, to make sure that the person drinking it is not underage. It doesn’t matter how old the person drinking soda is, nor does it matter what the 25-year-old is drinking. This task is exactly the same as the first one — with one key difference. The latter task involves social information. The researchers who ran this variation of the first task (formally known as the Wason Card Selection Task) confirmed that when it comes to deductive reasoning, we simply process social information better than other types of knowledge. Once you place the logic test in a bar with underage drinkers, it suddenly becomes easy to figure out its solution. We’ve now learned that people process, understand, and remember information better when it is presented in one of two ways — when it pertains to the self, and when it’s situated within a social context. If we can characterize human nature in any universal way, it would be that we are predominantly self-concerned and social creatures. This means that making knowledge relevant to the self or relevant to a social situation should make it easier to understand, remember, and apply. What’s important to note is that this doesn’t necessarily mean changing the content of the instruction. I think that Hacker is on to something by suggesting that we should be applying all of these mathematical concepts to students’ lives, but this doesn’t mean that we have to replace formulas and postulates with applications that are as literal as his suggestions. Making something self-relevant could be as simple as asking students to spend 5 minutes thinking about how they might use a certain mathematical concept in the future jobs they would like to hold or advising students to create mnemonic devices for formulas that incorporate the names of the students’ friends and families. Making something socially relevant is simply a matter of creative framing. After all, in the demonstration above with the two card tasks, the second card task was testing the exact same logical reasoning process as the first one — it simply framed the question differently. There’s no need to fundamentally alter the content of our mathematics curriculum, even if its current format is flawed. Applying mathematical concepts to people’s “real lives” does not necessitate throwing the baby out with the bathwater. We can keep teaching current algebra, trigonometry, and geometry content in our schools, and we can even teach them better — as long as these lessons are constructed with the audience’s two chief concerns in mind. 1. As you might guess, I’m probably biased towards this strategy seeing as the idea of taking pop culture/real life situations and using them to explain & understand science is…the entire point of this blog. This entry was posted in Academia, Educational Psychology, News/Current Events, Social Psychology, The Internet and tagged Commentary, Education, New York Times, Norton, Social Self. Bookmark the permalink. THANK YOU for summing up the issues with that Op-Ed so well! Precisely my views, as you might expect. 🙂 Hoping to write something on this myself and will link/quote from this post. But I’m traveling so it will be later in the week…. Magnificent web site. Lots of helpful information here. I am sending it to a few friends ans also sharing in delicious. The card test is terribly phrased. There is no statement anywhere that the cards all have a color on one side and a number on the other. And furthermore there is a difference between proving the assumption and disproving it. For disproving it may be enough to flip one card like the 8. For proving one would have to flip all the cards except the red one. For the rest of the article I wholeheartedly disagree. Yes it is important to show the relevance for real world applications, but the core of mathematics is teaching that the abstractions have a power of themselves, and rephrasing problems in a math way makes them easier to solve and not harder. Thank you for this article, you pose a great rebuttal to Hacker. I want to mention, however, that relating the material to their lives in a direct way can be a distraction and that, in fact, it is not the specific relation to their lives that yields better understanding, but it is the relation to what they already know or understand generally that leaves the impression. Take the first study you mention as an example. The increase in adjectives remembered could also be reasonably explained by the subjects having a more ingrained knowledge of themselves–opposed to abstractions–and thus they could better relate the new material to the held understandings dripping off of the tip of their memory. Thus to claim that the increase happened specifically because it was about them is too specific of a lesson to take away from the study–it would work just as well if it was about a friend, or a parent, or their car, or anything they knew very well. The job of teacher, then, is not to relate the material to their lives, but to discover where the student’s understanding is and meet the new information there with a persuasive touch (hat tip to Neil deGrasse Tyson for making this point much better than myself). So, I believe your point just about nails it, but overlooks this key distinction. For more, read Daniel Willingham’s book Why Student’s Don’t Like School. In it he makes the research based case against relating new material to their lives, and the research based case for relating the new material to the understanding already labored into long term memory.